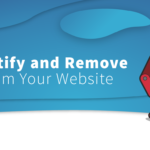 Is one of your New Year’s resolutions to learn more about securing your website? Maybe you want to dive into the world of malware and learn more about what it is and how it can be prevented. Or perhaps you want to understand what to do if a web host suspends your website due to a cyberattack. Whatever the reason, make 2019 the year you resolve to put cybersecurity first. There is a lot of information on the web on this subject and with 155 SiteLock blogs published in 2018 alone–that’s a lot content to search through! We’ve made it easy for you learn more about cybersecurity and how to secure your website in 2019 by gathering our most popular blogs in one place. Join us as we countdown the top 10 most popular SiteLock blogs in 2018! 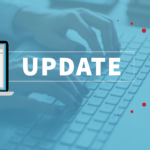 Cracking the top 10 is What to Do When an Update Breaks Your Site, which has everything you need to know about potential issues you might face when updating your WordPress core, themes, or plugins. And better yet, what to do if one of those updates breaks your site. Looking to add some crisp, clear imagery to your WordPress site in the new year? Check out this blog with tips and tricks to get your site retina-ready! New to WordPress and curious about what programming language you should run? Looking to refresh your programming language in 2019? In this blog you’ll find the top 5 reasons the PHP7.2 programming language is recommended for WordPress websites. Coming in at number seven is an oldy, but goody. In this blog you’ll find five tips and best practices to help protect our website from malware. Note: Website security doesn’t have to be expensive. There is a tip for every budget–there’s even free options! While combing through your database files for content might be a little trickier than searching files, it can be done. 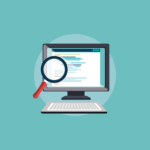 In this blog you’ll discover how using a web-based database administration tool can help you search for the common signs of malware in your database. Malware, also known as malicious software, is designed to harm a website and its visitors. So how do you identify malware? And how do you remove it once discovered? Blog five in our top 10 most popular SiteLock blogs in 2018 has the answers. 4. What Is Malware and How Can It Affect My Website? We don’t want to scare you–but malware is a major cyberthreat that can significantly damage your website and business. 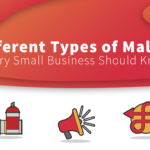 The good news is this blog covers everything you need to know about identifying malware, how it affects your website, and how to prevent website malware. 3. What is a Website Vulnerability and How Can it be Exploited? A website vulnerability is a weakness that allows a hacker to gain some level of control of the site–like stealing data or putting malicious content (malware) on your website. Sticking with the theme of website compromise and how to protect your website proactively, this blog goes back to the basics, talking about the five common types of vulnerabilities and how to prevent and mitigate them. Taking first runner-up, this blog discusses one of the most common issues we see in the website security world–website suspension. Here’s a look at why hosting providers suspend websites with malicious content and what you need to do to get your website (and business) back online! Drum roll please! The most popular SiteLock blog in 2018–How Can I Tell If a Website Is Safe? Look For These 5 Signs. While we hope that website owners are taking responsibility for the safety of its visitors, that’s not always the case. Here are 5 signs you can look for to determine if the website your visiting is safe. Whether for business or personal use, websites are used for a variety of reasons. With these 10 blogs in your arsenal, you’ll be ready to take on 2019 and all your website cybersecurity resolutions! And if there is still something you’re looking for, check out the SiteLock blog for tips on navigating cybersecurity legislation, determining if your IoT devices are secure, customer case studies, and more!